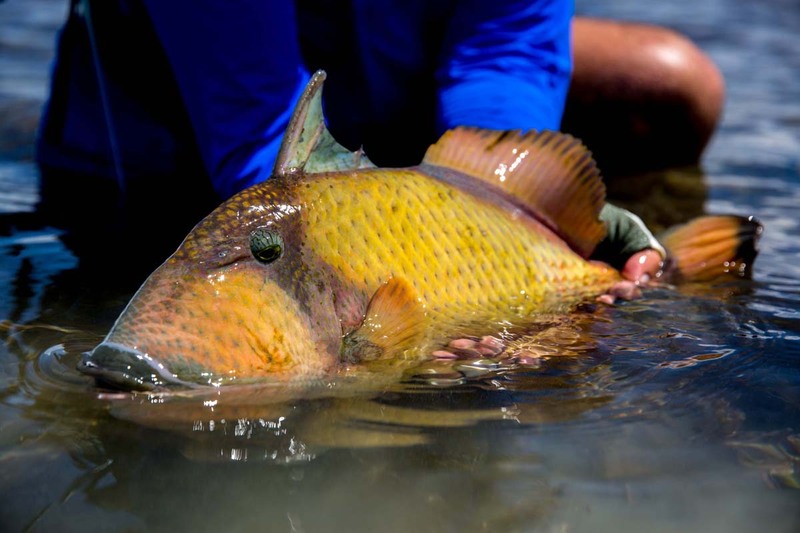 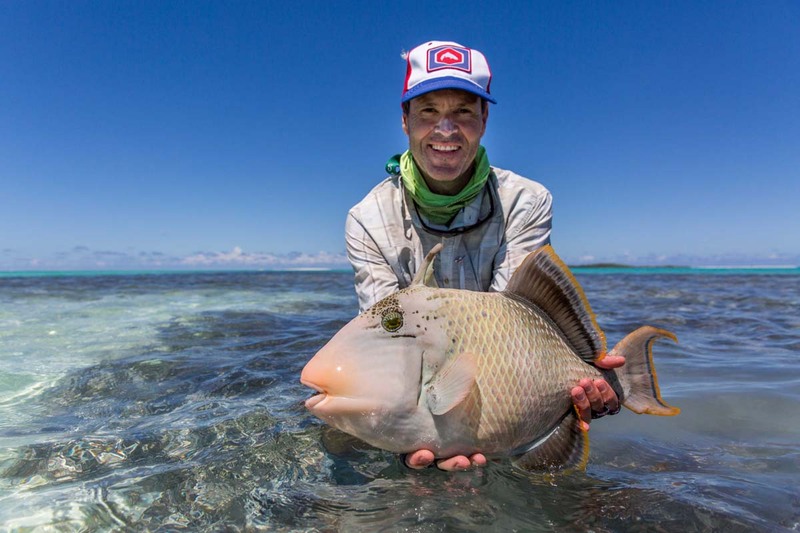 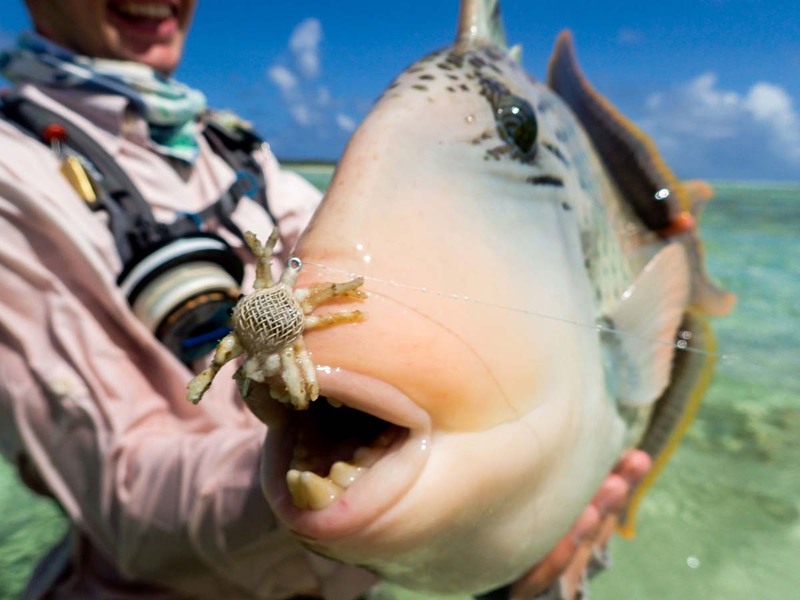 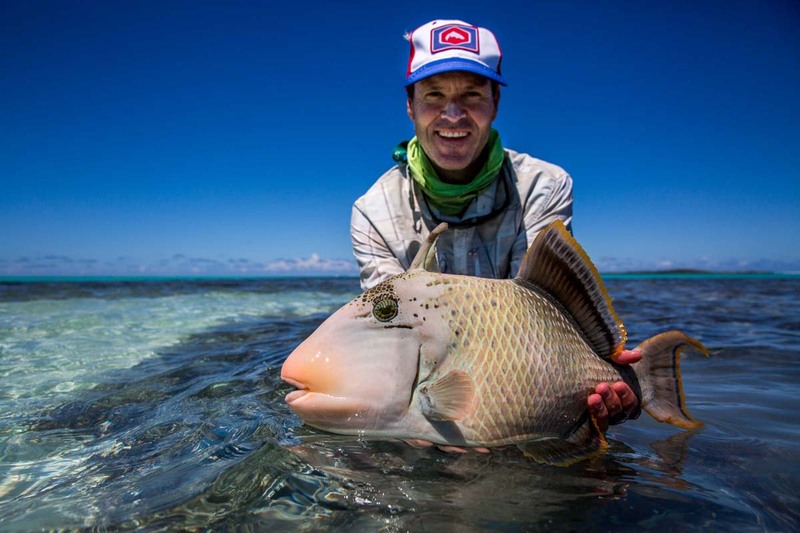 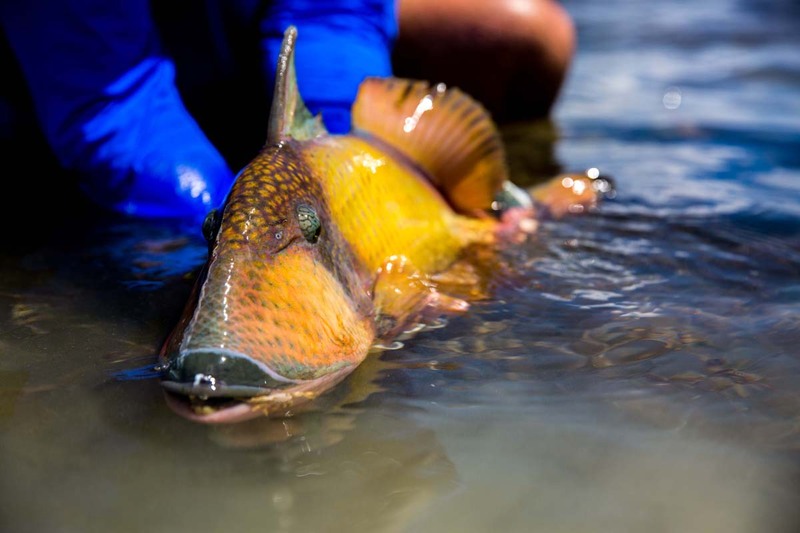 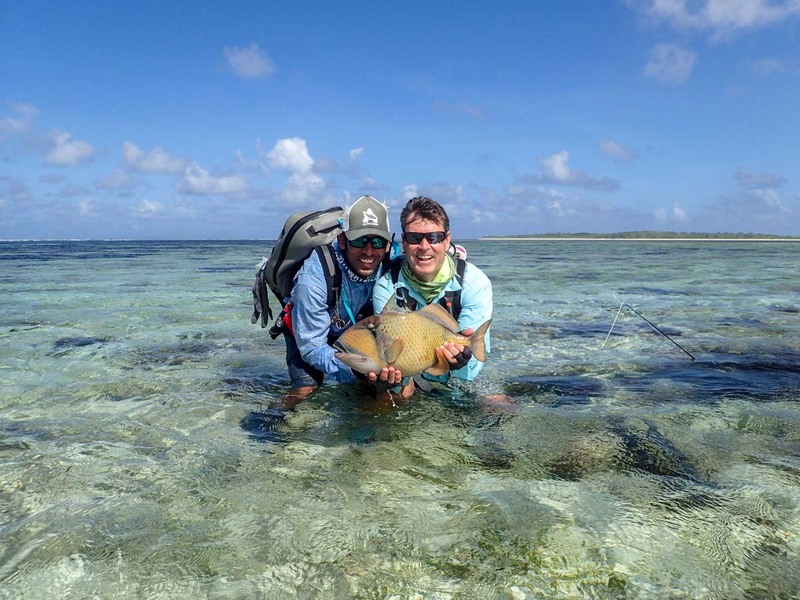 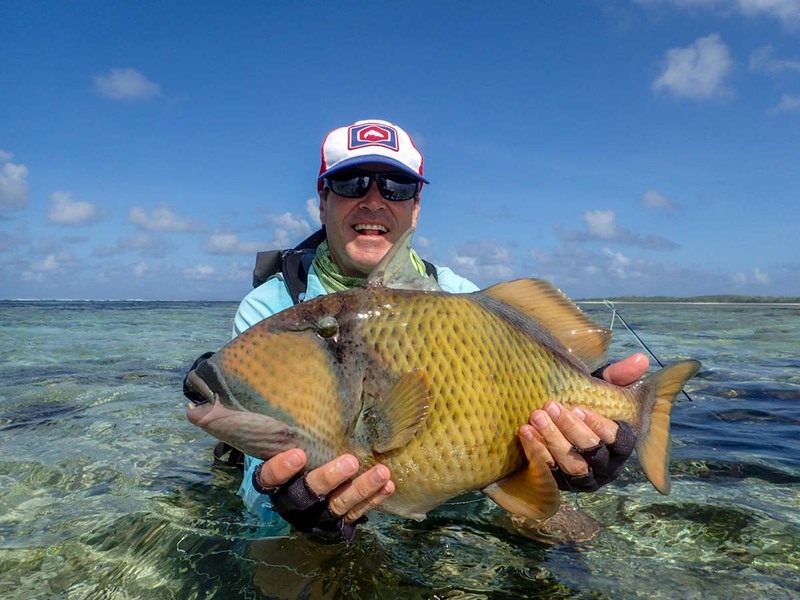 With a full complement of guests raring to go fish the pristine flats of St. Francois lagoon and some favorable weather conditions, the stage was set for some giant battles and tall tales. 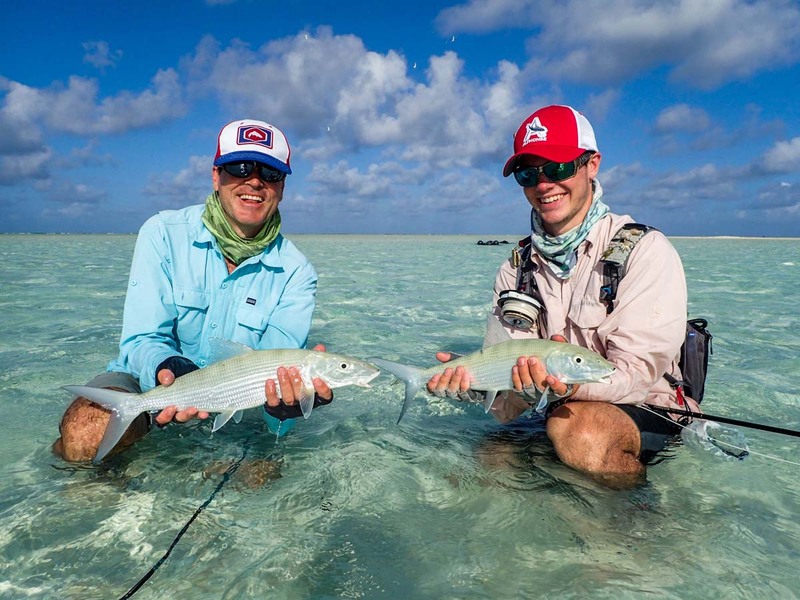 The incredible Bonefishing continued to with 350 landed, even though there was more effort placed on all the other species on offer. 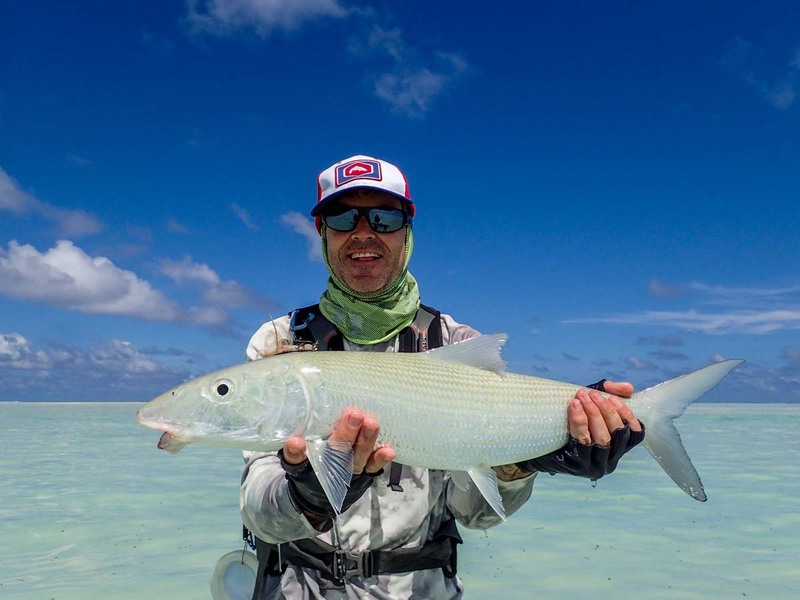 During the first few days the wind had died down creating ideal conditions for Milkfish to feed both inside the lagoon and outside the surf zone. 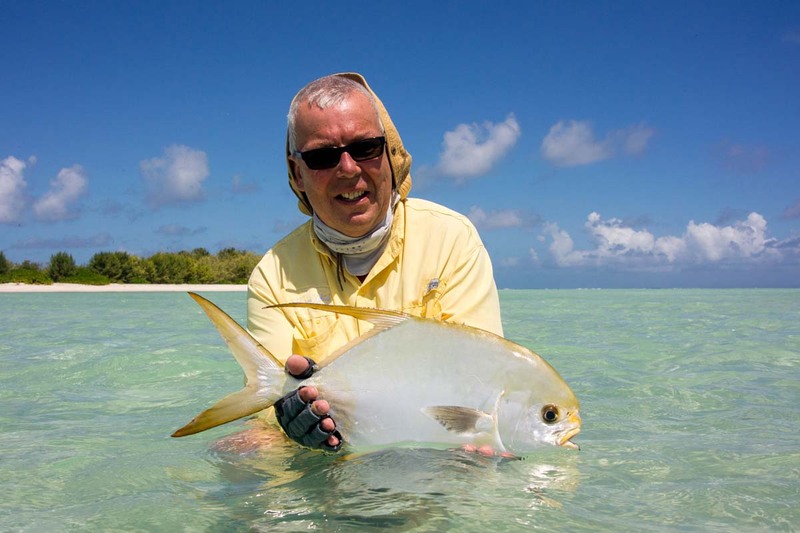 During the first hour of the first day there were multiple fish hooked by numerous guests which all sadly ended with the fish triumphing. 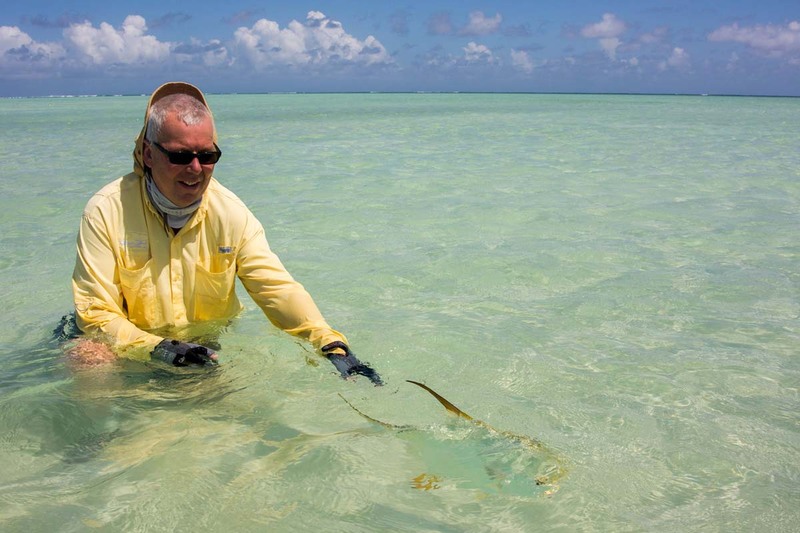 There was however more luck to be had with the other species that inhabit the flats. 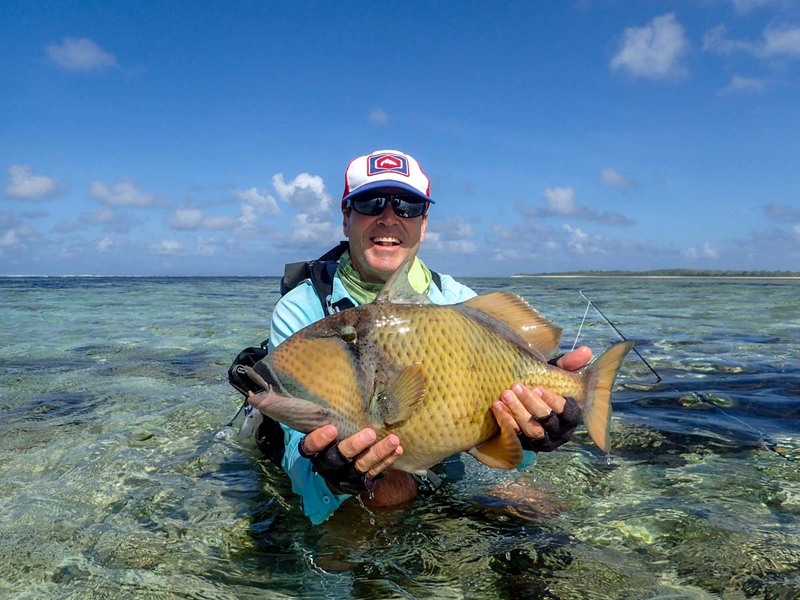 April V opened her account landing her first ever GT measuring 80cm which she quickly followed up by another fish. 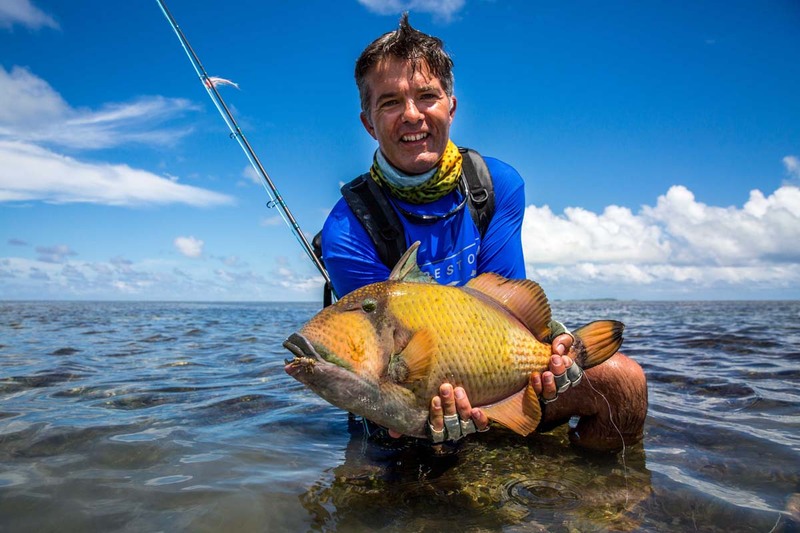 Despite not many GTs being landed there were plenty of opportunities with the Kappel shoal being seen on multiple occasions throughout the week. 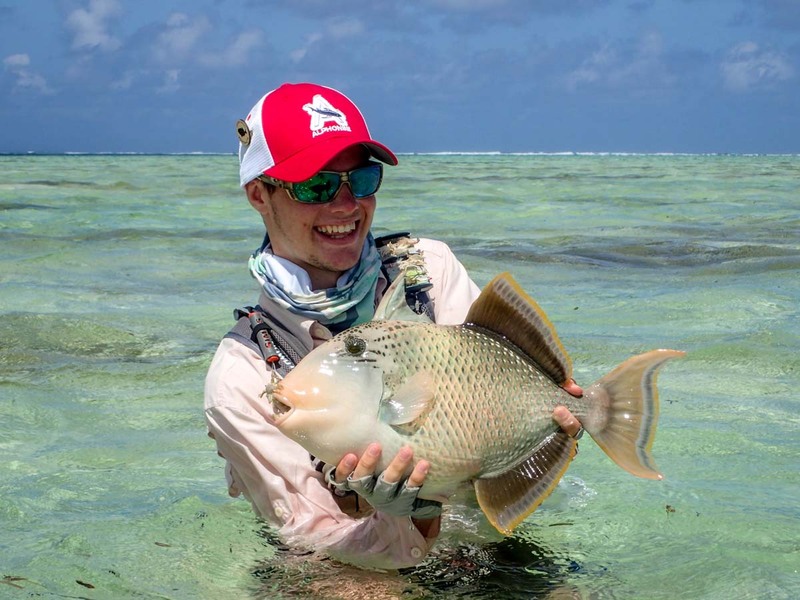 Olly and his father Bruce also put the hurt to plenty of Triggerfish earning them five Yellowmargin and one Moustache Triggerfish, the most Triggerfish landed by a single boat in the week. 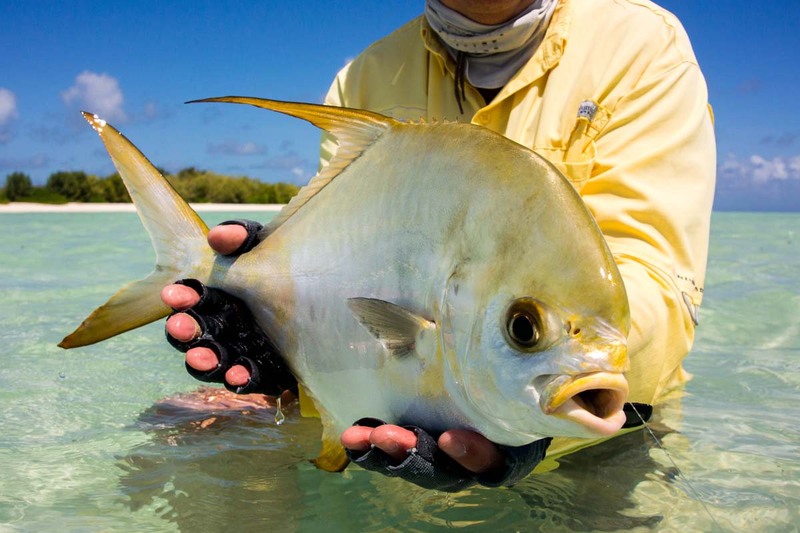 The Permit fishing was some of the best seen all season. 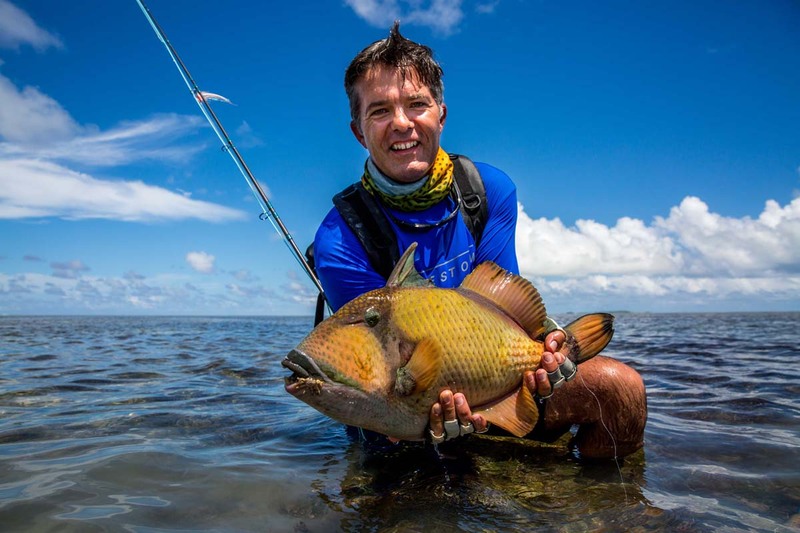 The number of fish seen during the week surpassed previous weeks by a distance with only three landed despite many shots. 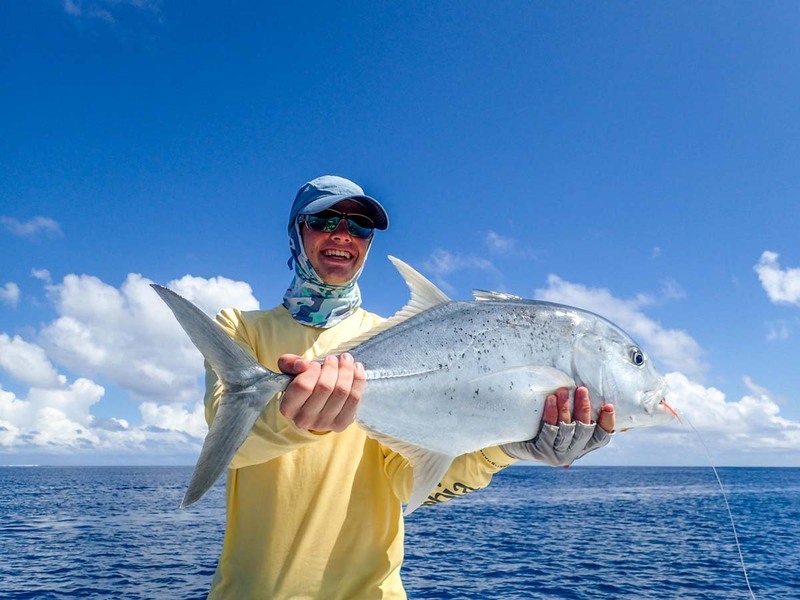 April V sweetened her trip by landing her first ever Indo-Pacific Permit on fly. 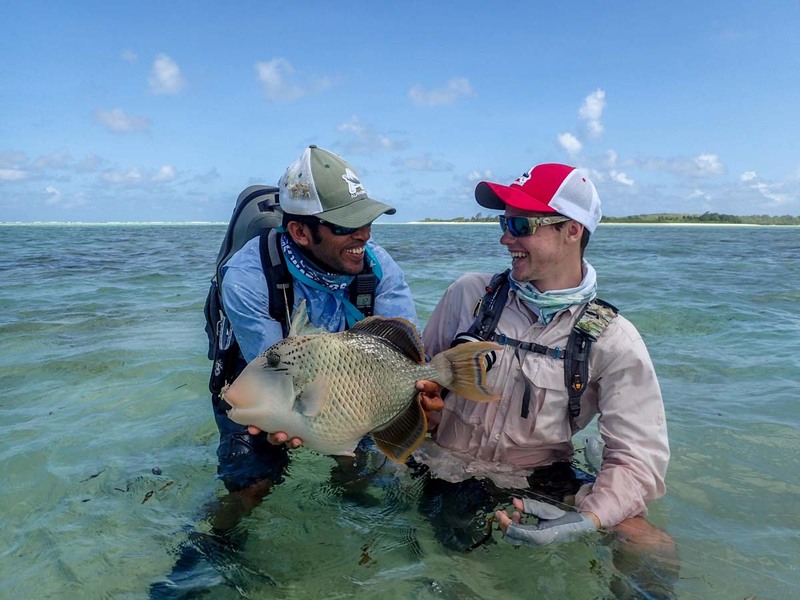 Rowan G and Robert T having paid their taxes throughout the week managed to hook and land a Permit each within a few minutes of one another. 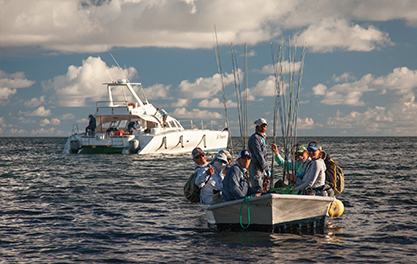 Another great week and one more week in the season!